Dimensions 2 Folders - Quickly classify your images by dimensions. 100% Freeware, FREE download v1.0.6 for Microsoft® Windows®, 352 KB. 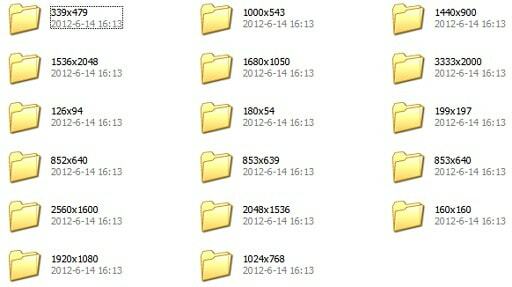 Dimensions 2 Folders can help you to classify your photos by their dimensions. 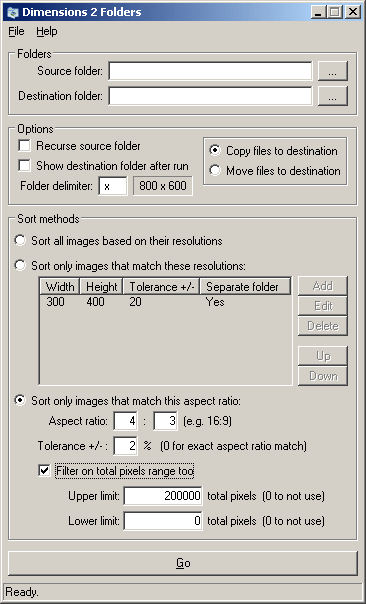 In Dimensions 2 Folders, you can not only classify all the photos, but also classify them by specified dimensions, even according to their resolution. After classified them, the effect like blow (the second screenshot). The documentation box (click "Help -> Contents" menu item) is too large, even cannot be fully displayed in 1152 * 864 resolution screen.